Ahhh.. meetings. The one old school company thing that survives in this agile, open-office, ‘remote first’, nomadic worker world. And it is easy to see why: the ‘meeting’ is the last guaranteed way to get everyone to pay attention for an hour, or at least, pretend to. It still is rare for people to fake attending two meetings at the same time in any case. 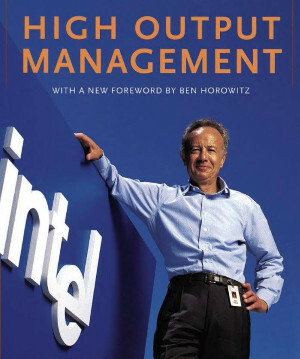 The late great Andrew S. Grove, long time CEO of Intel and overall hero engineer, wrote the massively important book High Output Management. The best advice I can give you is to stop reading this page right now and read that book instead. If you are short on time, you can find here my slightly modernized version of chapter 4 “Meetings”. So - the Meeting. It consumes lots of people and lots of time. Even conservatively measured, a typical meeting easily costs in excess of 1000 euros (or the local purchasing power equivalent), but can be called by any office rando, without any kind of oversight. You’d have a harder time ordering new pencils in many organizations than blowing $1500 on a 10 person meeting! Many meeting requests I get these days consist of nothing more than a title, a time and dial-in details. In the olden days, you would never have gotten away with that since even calling a meeting was a lot of work, so no one would do that without carefully laying out what the meeting was about. Because we have so many alternatives to meetings we like better (like duking it out on instant messaging or over email), we can safely assume that if a meeting gets called, a difficult choice needs to be made. Let’s say 7 people are expected to attend. Two of these are intimately aware of the problem, three have heard of it and another two are invited for their expertise, but have not previously been involved. What happens next is worse. Part of the audience is now very well informed but our invited experts are still chewing on this new problem. Yet the focus of the meeting is to draw conclusions and make decisions. And now that the situation has been explained, this is what we’ll start doing! Underinformed low quality decisions are the result. On top of this, because no one had a clear idea what the meeting was about, some people may be attending it needlessly, and more useful people may not have been invited at all. This takes, say, 30 minutes extra for the convener of the meeting, and an aggregate of two hours of reading maybe for the rest. There is nothing but win here. Finally, a successful meeting is best wrapped up with some notes shared quickly, perhaps also with people that could not make it but might still have insights. Now, in some organizations I am told people “don’t read agendas and won’t prepare anyhow”. This is likely true, but if this is the case you have bigger problems that can’t be solved by a single blog post. And even then the exercise of writing an agenda is helpful, even if only for yourself. Good luck & I sincerely hope you make the most of your meetings.